There are three classes of prescription drugs that are frequently abused by all ages, including young people. All of these classes are addictive. Most of them can result in fatal overdoses by themselves or in combination. 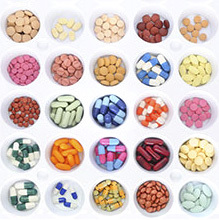 It is very common for people to mix prescription drugs together, often to try to achieve a specific effect. According to the annual survey Monitoring the Future that reviews drug abuse among school-aged children, prescription drug abuse has been on the rise for the last 20 years. No matter how good your relationship is with your children, they are going to witness prescription drug abuse among their friends and colleagues. If their personal convictions about drug abuse are not strong enough, they may be tempted to join in, even if the idea is that they will only “do it once to see what it is like.” For some people, this is all it takes for them to set aside their convictions and try that drug a few more times. Some of these drugs are so addictive at the high dosages consumed during recreational use that this is all it takes for cravings to kick in which drive a person straight into full-blown addiction. The other possibility is that a person could get enough of a strong drug to kill them, first time out. It has happened far too many times. Opium has been used to treat pain for thousands of years. Opium comes from a poppy, Papaver somniferum, which is grown mostly in Afghanistan, Colombia, Mexico and Southeast Asia. The resin that oozes from the seed pod of the poppy is collected, resulting in balls of opium which may be smoked. Most of the product is processed into morphine, some of which is chemically refined into heroin. Some prescription painkillers are directly derived from opium. There are some that are completely or partly synthetic. Semi-synthetics and fully synthetic painkillers are called opioids. This is not a complete list by any means. There are hundreds of formulations of opiates and opioids. These are the ones that most people are familiar with. These are drugs that are intended to calm a person down or enable him to sleep. This class of drug consists of benzodiazepines like Xanax, Valium, Librium and many others. It also includes barbiturates or sleeping pills like Nembutal or Seconal. While it is not technically part of the same category, these drugs are often mixed with carisoprodol, brand named Soma, a popular muscle relaxant. Benzodiazepines and barbiturates both suppress the breathing, which is how they cause overdose deaths. A person’s breathing slows down so much that he simply dies. When more than one drug has the effect of slowing down respiration, a person increases his chances of an overdose death when he mixes drugs. Opiates, benzodiazepines and alcohol all suppress breathing. Most overdose deaths involve more than one drug, very often several drugs. You will notice that some of these drugs have a similar chemical composition to a dangerous, addictive illicit drug - methamphetamine. Whether a young person ever needs these drugs or not can be debated. But needed or not, they all have the potential for abuse and addiction. The media carries few stories about addiction to these drugs. But in 2013, Senator Chuck Schumer of New York was concerned enough to propose that public and private colleges in the state create tougher standards regulating the prescribing of these drugs for students and mandating drug education for all students on the dangers of abusing them. At some colleges, faculty estimate that as many as one in three students has abused one of these drugs. Usage is particularly high when it is time to study for finals or to write term papers.